My friends joke that I cannot hold onto a gift. They laugh because I will buy a present weeks before the event, but tend to give it the same day I buy it. I can't help it. I spend focused time choosing a gift for someone, and then after I purchase it (or make it), I cannot bear to wait. It gives me goosebumps to think about doing something special for someone. I just love giving gifts, which works out nicely for my children! My favorite gifts to give are unexpected ones... a little something here or there for no reason at all. 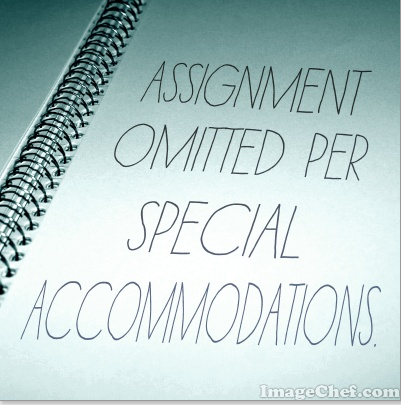 I have a strong passion for helping and mentoring new teachers and veteran colleagues. Support and encouragement are critical in the field of teaching, and even more so in online learning, where instructors communicate primarily by email and phone. I have found a way to merge my love for creativity and gift-giving with helping others! I love to design creative announcements, helpful videos, and useful resources. When I create something new, I try to share it with others. The unexpected gift of something useful not only brightens someone's day, but also reduces the work load. I believe this is a way I am able to bless those I know, as well as those I haven't met yet. 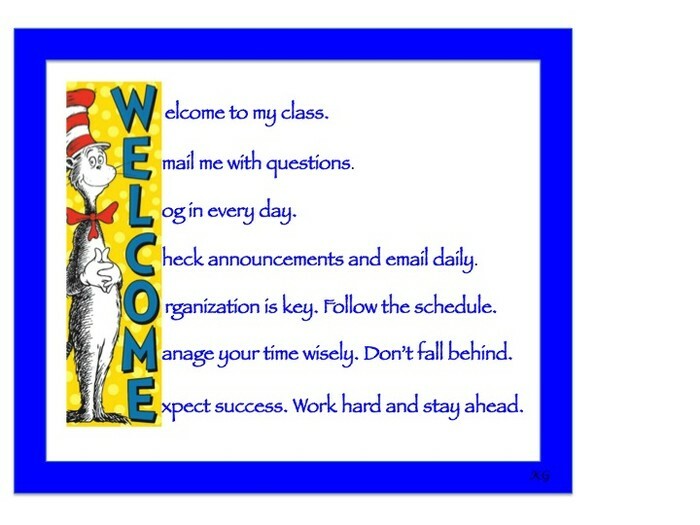 I made a welcome announcement for my class, and then showed some colleagues. After their intrigue, I decided to try making one for a few other departments. I made these for Biology, Math, and Latin, and shared with peers. 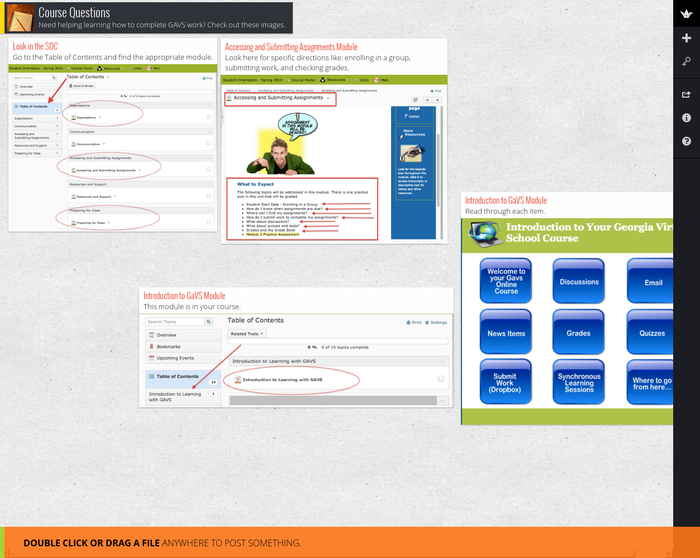 Setting up a course can be time consuming, especially when an instructor has multiple courses. 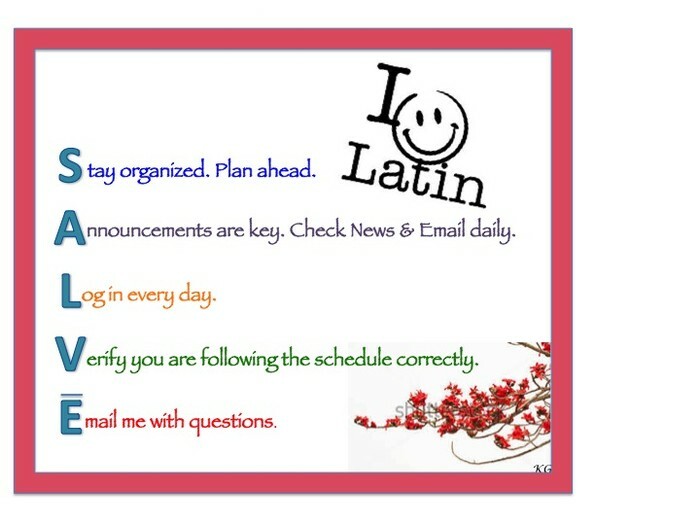 My desire in creating these announcements for others was to cut course set-up time, while creating an inviting atmosphere for students across multiple disciplines. 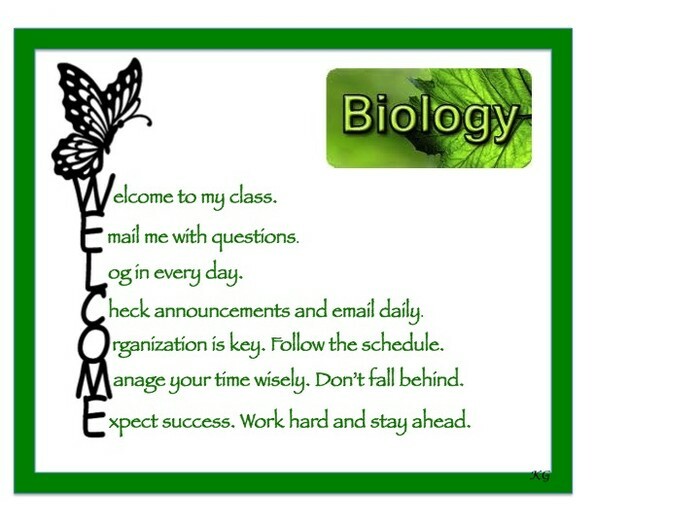 I share students with multiple departments, so seeing the same type of welcome, tailored to the course, created a sense of consistency across the curriculum. I made this announcement for anyone who wanted to use it. I included it in my welcome newsletter. I made a series of these stamps for each day of late work. 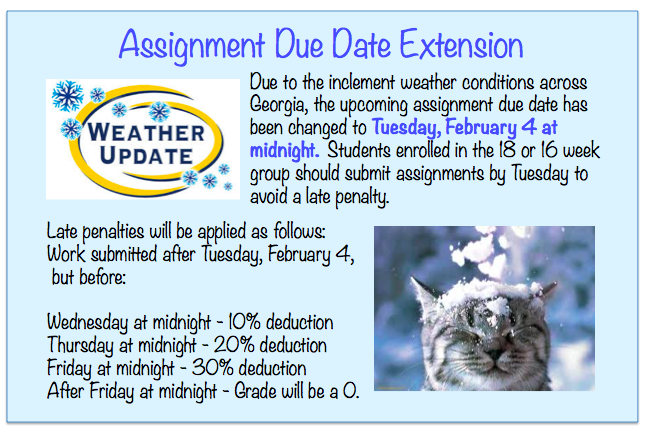 I shared with my department and others to help with efficient grading. 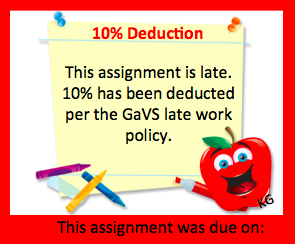 These are designed to go in the feedback of assignments to make students aware of the late work deduction. 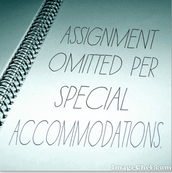 I made this stamp for the gradebook to note when an assignment was omitted for special accommodations. I shared this with others. 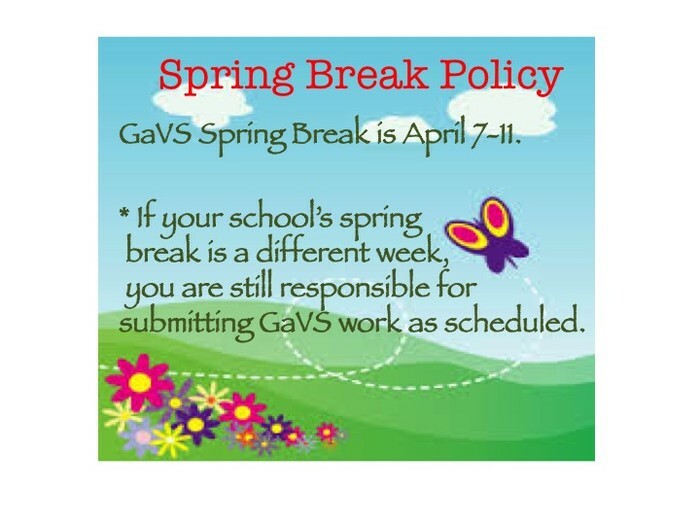 I made this announcement with the GaVS deadline extension information. I shared this "pretty" version with many colleagues. I made this image for Jane O'Brien. 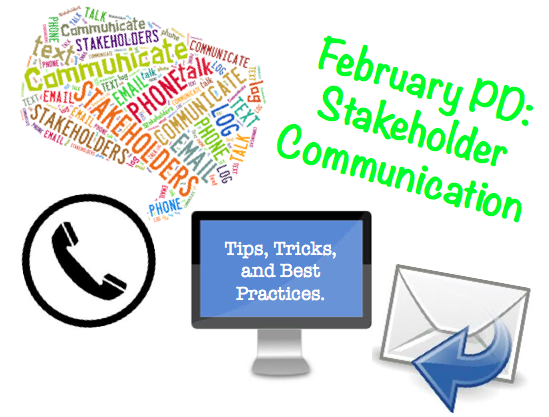 She asked for a creative image to post for the February professional development session. You've heard it said that, "A picture is worth 1,000 words." If that's true, then a video tutorial is worth 2,000. PowToon, Jing, and Snagit have become some of my favorite tools to use for communication. 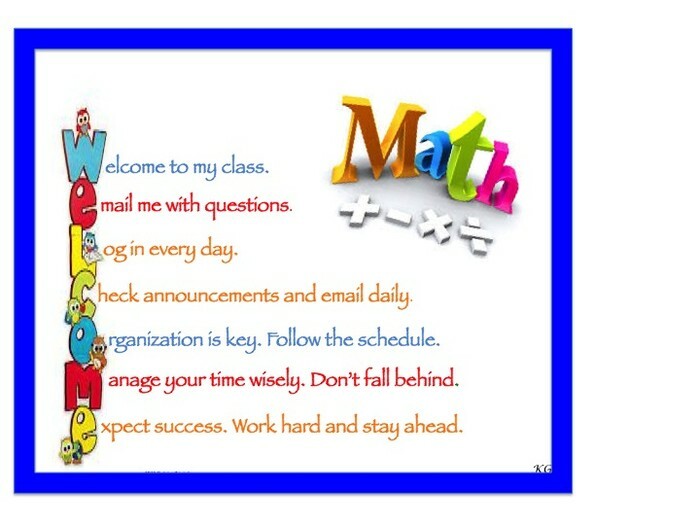 I use those programs for communication with parents, students, and teachers. I am a "show & tell" type person. I would much rather demonstrate a process, than write out tiresome instructions. This is my reasoning for creating various videos. When I find a solution to a problem, I like to share it with others. Again, the idea is to create continuity, foster collaboration, and ease troubleshooting. These videos can be used, paused, and rewatched by parents, teachers, and students. 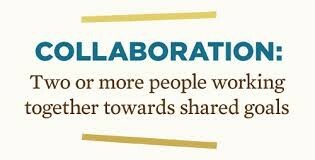 I feel that this is one more method I can use to make communication and collaboration more personal. What does that 1 mean?